Work from Gold County Real Estate. 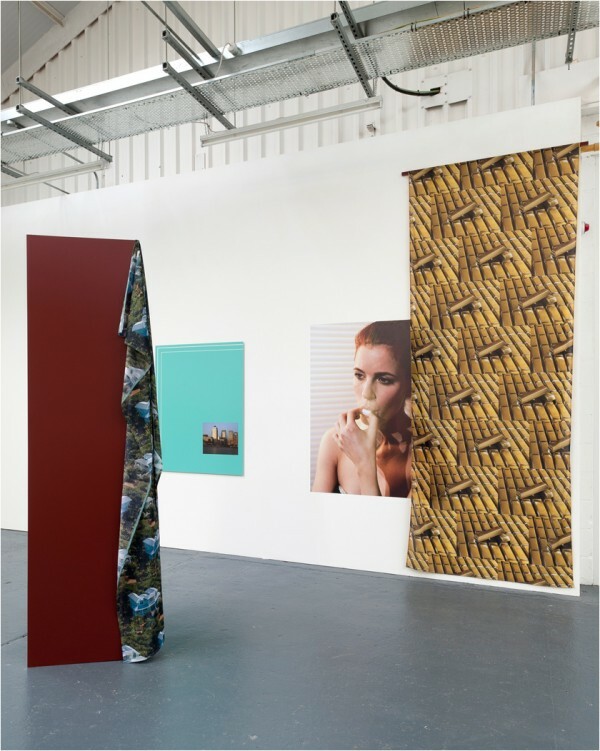 ‘Gold County Real Estate’ creates rhythmic contradictions through it’s installation and pictorial content, a proxy reality is created existing in a space at once arbitrary and fantastical, questioning the viewers relationship to the image and it’s ability to fulfil expectations. Photographic conventions are ruptured through manipulation of the photographs surface, causing the image to exist in a visceral space where the image as an object is not simply re-presenting the past but instead challenges the indexical history of the photograph from the present. 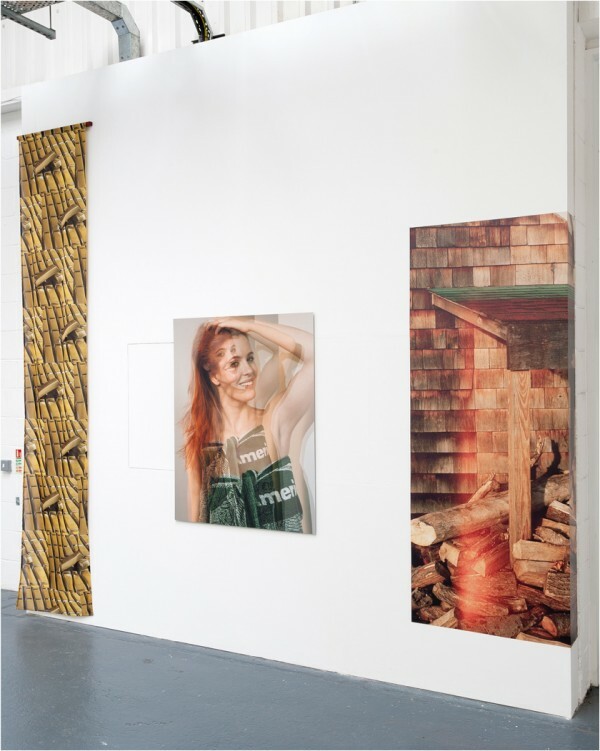 The use of appropriated imagery (printed on fabric) allows an abstraction to occur, the image is recycled and re-fetishised, distanced from its original context. The image now exists firstly as an aesthetic indulgence and then as an archetype, a blueprint to something unknown. It’s interaction with an ‘object’ asks the question is the image in service to the object or the object to the image; the object acting as an embellishment, a ‘picture plane’ both formal and suggestive. It would be a mistake to become lost in the indexes of the images and it’s connotations, instead the images projects outwards into the space, perhaps alienating the viewers as they try to grasp its intentions. The entry 'Bryan Dooley' was posted on September 11th, 2012 at 11:18 pm	and is filed under Uncategorized. You can follow any responses to this entry through the RSS 2.0 feed. Both comments and pings are currently closed.